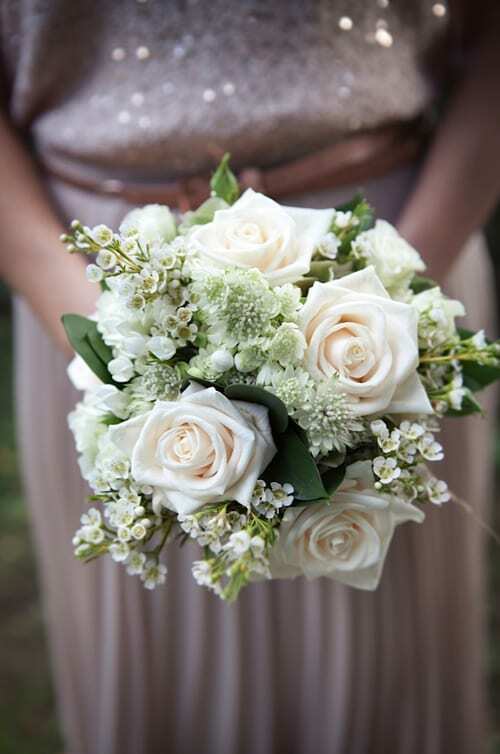 It’s Florist Friday and today I’m delighted to feature an interview with Katy Knott of Rustic Rose. Being a farmer’s daughter I grew up outside, being aware of the seasons and always wanted to have a practical job. I also enjoy art and getting creative! 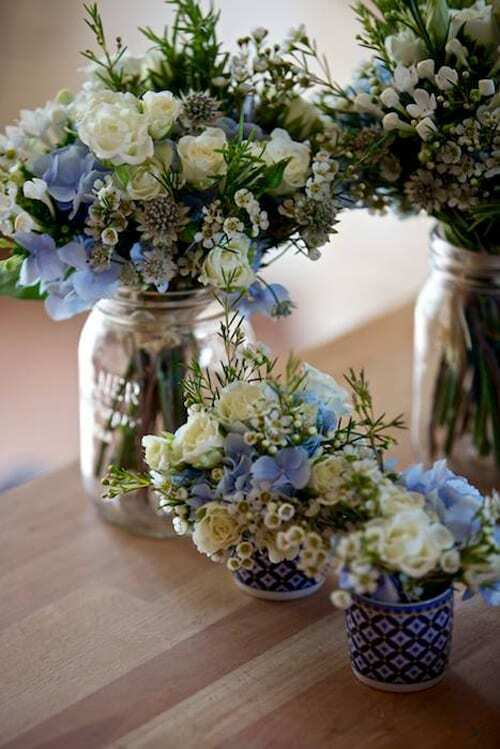 What better way to mix the two than floristry!! The doors of Rustic Rose opened at the start of a very snowy day in December 2010. 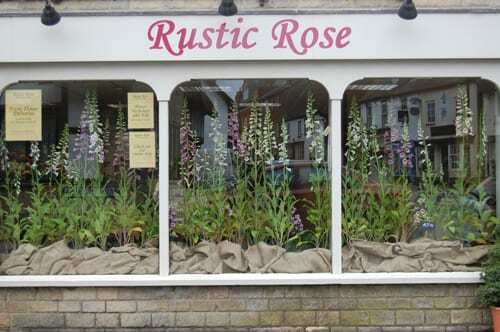 Aged 20, a perfect shop opportunity arose in my local town of Sturminster Newton in Dorset, with huge shop windows facing north, a workshop room above and pavement space for planted treasures and flowers outside. I was buzzing for a challenge and the hard work to follow! 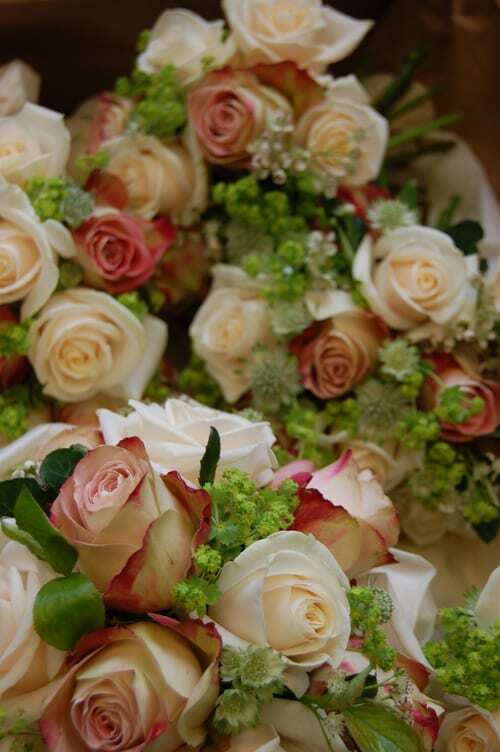 Inspiring flower workshops throughout the year, plus wedding and event flowers. 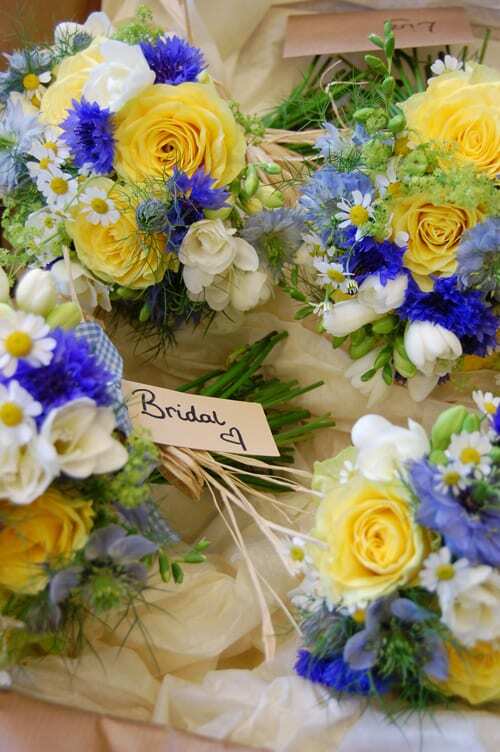 We also send our own flowers throughout the UK. They can be ordered from our online shop, which is on our website. I worked freelance for Rebecca Louise Law in London. It was an eye-opening experience, working with flowers en masse. It was magical! I also get inspiration from getting out and about, local vintage markets, walking in the countryside and on my family farm. Country, but with colour! Seasonal, textures and a touch of hot vintage. Could you tell us about your workshops? Fun and relaxed…we love to laugh! We have a maximum of 8 people and the workshops suit all abilities and ages. 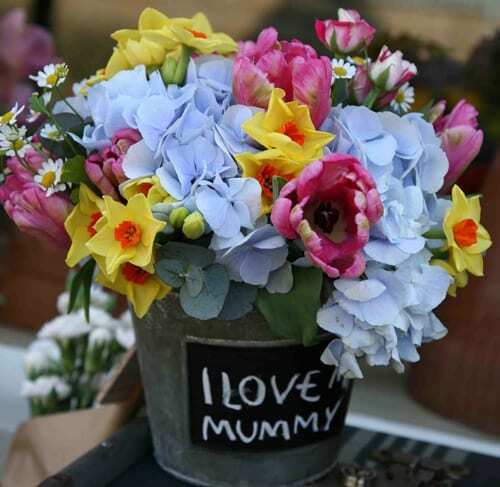 They’re full of inspiring flower ideas and there’s granny’s legendary homemade cake and tea too. Like all florists, this is a tough one. I like to use seasonal and local flowers, where possible. Spring is my favorite season, new year, new start and fresh ideas! Although the first flower that pops into my mind is the dainty ‘forget-me-not’. The pale blue is so striking…to me it’s a happy flower. We’re spreading the flower wings a little more each year. 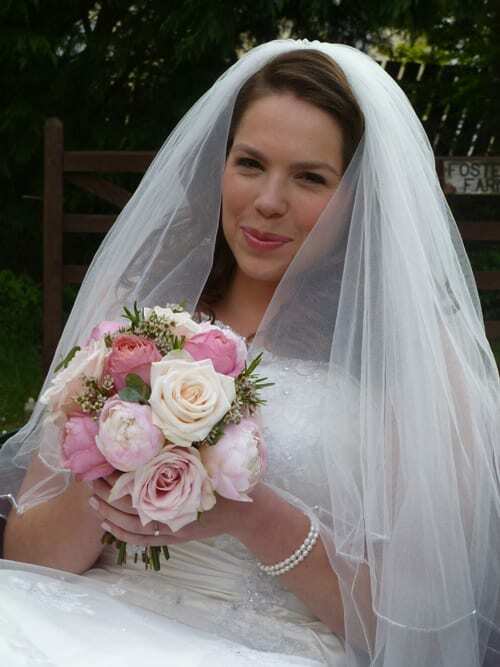 Getting bigger and travelling further throughout the South West of England with weddings, events and parties. My aim is to keep my flower ideas fresh and build my events portfolio. Thank you very much to Katy for all her help in compiling today’s blog post. If you’d like to see more of her work and find out about her workshops, please do visit the Rustic Rose website. And you can keep up-to-date with Katy’s news via her blog. 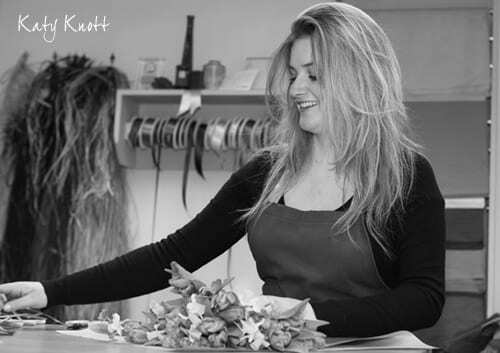 So pleased to see Kate featured – she is an inspiration to young florists! I worked with Kate for five years whilst I was manager at Ted Martin Flowers before she opened her own shop, I’ve followed suit and now have my own shop (even though I’m a few years older than dear Katie!!). Good luck Kate and your ever growing business! !